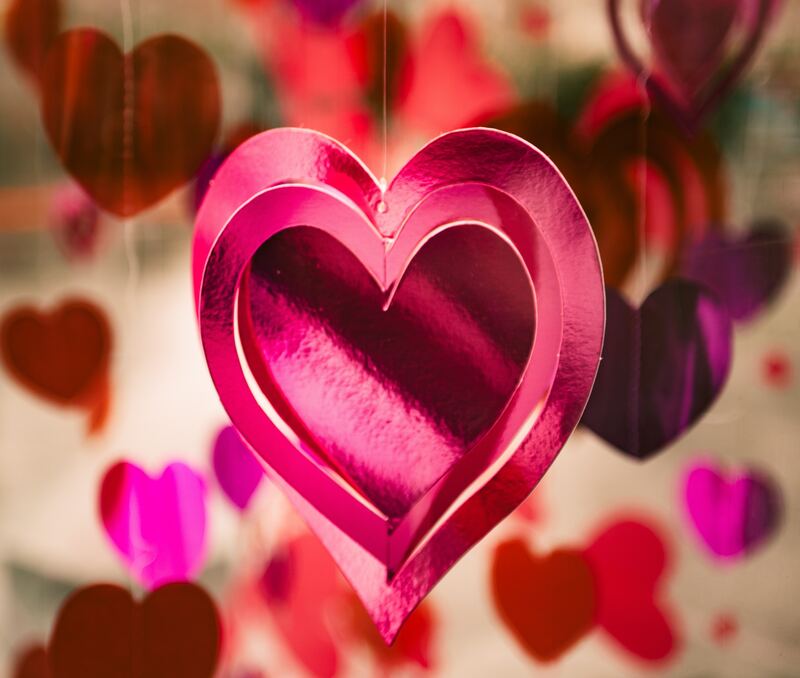 Every year February 14 is Valentine’s Day, a Hallmark holiday that traditionally includes cards, chocolates, flowers, and often dinner out and perhaps a new bauble or other token of affection. 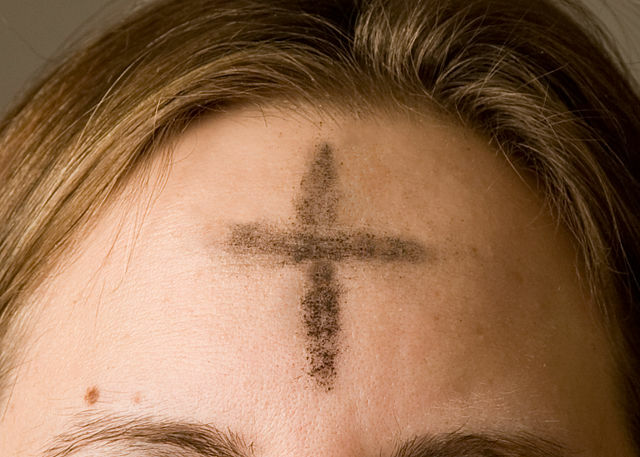 This year February 14 is also Ash Wednesday, a Christian holiday that marks the beginning of 40 days of fasting in preparation for Easter, the most important holiday in the Christian calendar. That coincidence of the two holidays gave me inspiration to look for a way to observe both of them in some compatible way. A way to move from a strictly Hallmark holiday to a holiday in the spirit of II Corinthians 13, often referred to as the Love chapter. The last verse may be the most well known: So faith, hope, and love abide, these three; but the greatest of these is love. Don’t get me wrong. I’m not forgetting my husband on this day of romance. He will receive a card with just the right sentiment, selected after 45 minutes of sifting through cards with texts ranging from syrupy sweet to barely appropriate humor. He deserves the perfect card. Each year I search for it. He is the reason my life is so rich I can think of ways to be generous to others–to share faith, hope, and love with others. The specific inspiration for the twist came from alerts of new Internet stories about the countries I have lived in. Reviewing them keeps me in touch with a variety of aspects of life–political, cultural, religious–in those countries. The posts I received most recently about Madagascar gave me an idea for the twist. Before I describe it, I’d like to introduce readers to Madagascar. Briefly. Madagascar is the world’s fourth-largest island. The curves of the west coast of Madagascar match the curves of the east coast of the African continent, just to the west. Without the benefit of more detailed knowledge of how the supercontinent of Pangea rifted, it’s reasonable to assume the island broke away from Africa, but it’s more complicated. In fact, the land that corresponds to the island of Madagascar broke away along with a larger landmass that eventually moved northward and collided with what became the continent of Asia. That collision formed the Himalayan Mountains at the northern edge of the Indian subcontinent. During that land migration, the island of Madagascar broke away from the northward-moving landmass and drifted back toward Africa. Wikipedia includes an animation of the breaking apart of Pangea which shows these rifts and movements. The extended period of time that Madagascar drifted first away from Africa and then back again resulted in the incredible variety of unique plants and animals of Madagascar. My favorites are the lemurs, ranging in size from as small as a mouse to as big as a baboon. Dream Works’ Madagascar film franchise helped popularize the lemur I believe is most widely recognized: the ring-tailed lemur. Distressingly, Scientific American reported in January that the ring-tailed lemur population has plummeted 95% since the year 2000. 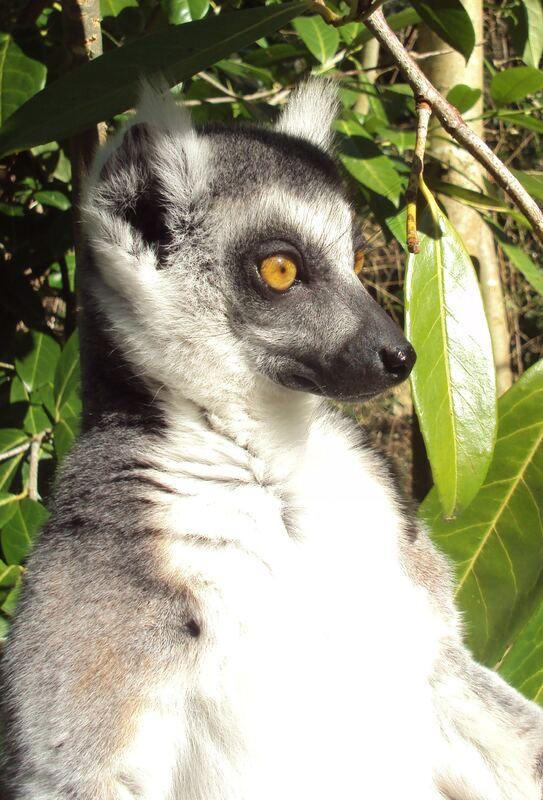 Lemurs are not all that Madagascar is losing. The agricultural practice of slash-and-burn has contributed to the loss of 90% of Madagascar’s forests. But the practice has more than agricultural significance. Because the ash left behind after the burning enriches the soil, the practice has cultural value as it is associated with wealth and prestige, a powerful combination of motives difficult to overcome. 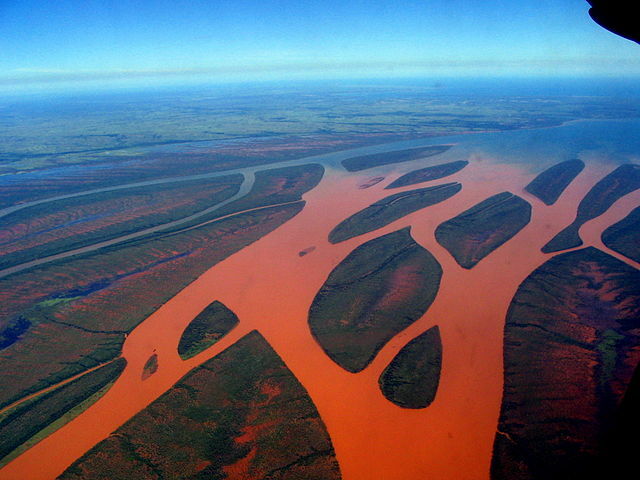 A secondary loss from the slashing and burning is the erosion of the soil which settles as red silt in the rivers and flows into the ocean, making it look as though the island is bleeding. Economically, Madagascar in 2016 was identified as one of the world’s fastest-growing economies. But that doesn’t tell the whole story. The average annual income in Madagascar is only $1,000. Madagascar’s agricultural industry, including fishing and farming, employs 82% of Madagascar’s labor force. Other industries–including textiles, mining, and tourism–are growing, but a combination of factors including food insecurity, fluctuations in investment from outside, and political instability have made for a rocky road. In its 2002 election two candidates, the then long-serving president, Didier Ratsiraka and a challenger, Marc Ravalomanana, claimed victory, which led to a political crisis, resolved eventually in favor of the challenger. But seven years later, the military took over. Elections were reestablished in 2013. Since then, Hery Martial Rajaonarimampianina has served as president. The idea for my Valentine’s Day twist came from the several alerts about people in Madagascar who had received micro-loans from Kiva.org, an international nonprofit, founded in 2005 and based in San Francisco, with a mission to connect people through lending to alleviate poverty. It is possible to loan as little as $25 to a project through Kiva. Here’s my proposal: In addition to following whatever romance traditions you have established with those special people in your life, consider sharing your faith, hope, and love through a small loan with Kiva to someone in another part of the world–or even to someone within the United States–to be part of another person or family realizing their dreams. I have added my contribution to the loan requests of Clarisse and Ernest of Madagascar. This week I received an early Christmas present, the kind that no amount of money can buy. I found a comment on one of my earlier posts, E is for Eritrea, from one of the boys on Team USA while I was in Eritrea in 2004. And that means I also have a way to be in contact with him. Yesterday we talked on Whatsapp. He explained that the team continued to play soccer for three more years after I left, taking part in a competition and coming in third among eight teams twice. Once they reached high school, they turned their efforts to getting good grades, as all parents seem to wish for their children. He filled me in on where some of the Team USA members are now. Several have left Eritrea. At least one has moved to Europe. And he sent me photos of many of the boys now that they have grown into handsome young men. I’ve been smiling all week. May your holidays be blessed with many reasons to smile. Merry Christmas to all. Cocktail Hour Under the Tree of Forgetfulness is Alexandra Fuller’s second book covering her family’s experience in east Africa. The first, Don’t Let’s Go to the Dogs Tonight, which her mother describes as an Awful Book, tells the story from her perspective. In Cocktail Hour Under the Tree of Forgetfulness, she expands the story to include her grandparents so that the story is told more from her parents’ point of view, even more so from her mother’s point of view. It covers her mother’s Scottish ancestry; her grandparents’ move from Scotland to Kenya and back to Scotland; her father’s adventures in Canada, Montserrat, and Barbados before he landed in Kenya where within two weeks he met Nicola Huntingford and decided to stay. It covers the Mau Mau rebellion; Ian Smith’s Universal Declaration of Independence of Rhodesia from Britain and the world-wide economic embargo that followed; the Bush War which the nationalists refer to as the Second Chimurenga, the Shona word for rebellion, and which fostered the creation of the Zimbabwe African People’s Union (ZAPU), the Zimbabwe African National Union (ZANU), the Zimbabwe African National Liberation Army (ZANLA), the Mozambique Liberation Army (FRELIMO), and the Mozambican National Resistance (RENAMO); and the eventual independence and majority rule of Zimbabwe. It is a quick history lesson on a painful and shameful period in Africa. But it is much more. The real story in the book is the love story: the love between Tim and Nicola Fuller; the love of Tim and Nicola Fuller for their children; the love of Alexandra for both her parents; the love of all of them, but especially Nicola Fuller, for Africa, though not always the Africa that exists; and most of all it is a story of the love of life illustrated through an independent spirit that kept her parents moving forward, looking for the next challenge in spite of losing children, jobs, farms, and wars. Alexandra Fuller tells this love story so compellingly, so engagingly, so compassionately for not only her family but also for the native Africans around them. Her introduction to her family made me feel as though she was welcoming me into it. And I felt honored to get to know them all. 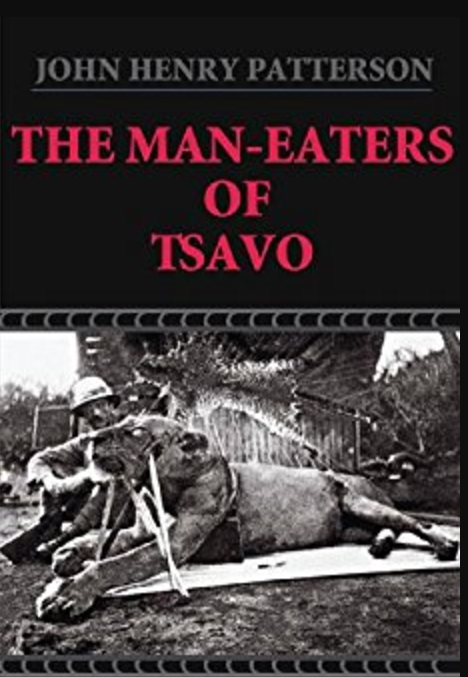 The Man-eaters of Tsavo by Lt. Colonel J.H. Patterson, first published in 1907, steps the reader back in history to the 19th-to-20th turn of the century to an area at a time when place names reflected the non-Africans who arrived and set out to tame the continent. The initial chapters of the book tell of Patterson’s challenge to rid the area of two man-eating lions which were disrupting the construction of the railroad through Uganda. Many readers may already be familiar with the fictionalized film version of this story, The Ghost and the Darkness, which includes scenes directly from the pages of Patterson’s retelling. But Patterson’s book includes much more than the tale of dispatching the two troublesome lions. Having recently read two modern memoirs about the same area, Alexandra Fuller’s Don’t Let’s Go to the Dogs Tonight and Scribbling the Cat, I particularly enjoyed reading this one to construct my own historical backdrop for them. The photographs, though of poor quality, help greatly in conjuring up mental images of the location. Just as in Fuller’s memoirs, some of the language used by the author may be harshly judged by today’s standards. But also as in the case of Fuller’s books, the author presents the stories in a near objective, journalistic tone without braggadocio, though not entirely without deprecating the Africans he meets along the way. He is a colonial, intent on taming the African wilderness for the benefit of Europe, and he takes every opportunity for adventure and to increase his collection of animal trophies along the way. Yet he shows a level of compassion I hadn’t expected when he describes why he chooses not to shoot an animal if there is a risk he will only injure it. Don’t expect this book to follow the traditional arc of memoir. Patterson is as much a single Englishman taming the African continent at the end of the book as he is at the beginning. He does not confront any demons along the way–only potential trophies, most of which he succeeds in killing. The book is a report of his adventures, plain and simple. If there is a purpose other than telling his own story, it may be to build up excitement in the reader to inspire similar adventures. The appendix provides a complete list of what someone traveling to Africa should bring as well as a chart showing the likely cost for all the servants needed once in Africa. My purpose for reading the book was to broaden my understanding of east Africa. I recommend the book for anyone who may similarly be interested in either the history or the geography of that area. 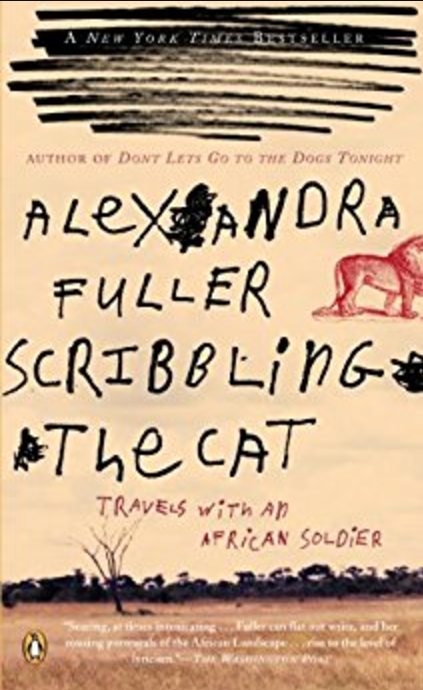 In Scribbling the Cat: Travels with an African Soldier Alexandra Fuller tells the story of her return to Zambia in order to travel with K, a soldier who fought in the many wars of independence in East Africa in a search to make sense of what the war had done to them both. Still a child during the wars of independence that turned Rhodesia into Zimbabwe, Northern Rhodesia into Zambia, and freed Mozambique from the Portuguese, Fuller experienced it as a time when both her parents were defenders of colonial way of life. 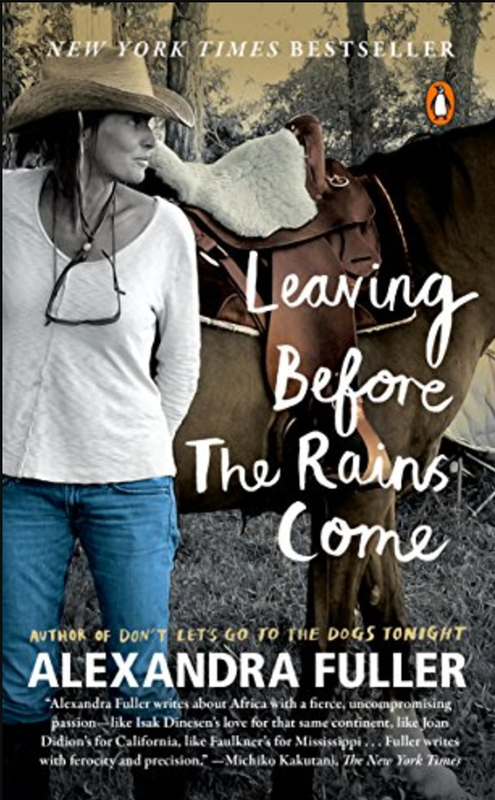 In her first memoir, Don’t Let’s Go to the Dogs Tonight, she recalls being left behind with her sister and mother as her father heads off in camouflage and a blackened face so that he won’t be visible. Fuller the child wants to yell out to him in warning as she watches him walk down the drive leading to their farm that she can still see him, that he must watch out. She also sits at her mother’s feet during her mother’s periods of assignment at the map of lights set up to give white farmers a warning system if attacked. If one of the lights came on, a call to arms would go out to defenders to race to the farm under attack. Years later, Fuller, now married and mother of two children, returns from her Wyoming home to visit her parents in Zambia. She meets K, a soldier who is still battling demons unleashed during his time as a soldier in the RLI, Rhodesian Light Infantry. Fuller begins her narrative with the lines above. K astonished her because he was still in Africa after years of fighting against the native Africans who were fighting to take possession of the land. K has lost his farm, his son, and his wife. But K has found God. He has turned his life over to God, asking God for guidance every day. K asks God if He has sent Fuller to be with him. Fuller admits she and K were on the wrong side in the fight. And yet her parents remained. K remained. And she returns again and again, feeling African more than any other nationality in spite of her American husband and Wyoming home. She invites K to return with her to Mozambique, where K spent most of his time fighting to retain possession of African land, in the hopes that she can help him find reconciliation and she can find understanding. This is a naked story of warts and wounds and victims of war. Fuller opens up the door to let the reader see her Africa, an Africa she loves in spite of its terrors and dangers. She uses the language those she meets would use, unflattering in its references to black Africans, but without apology. She simply reports. 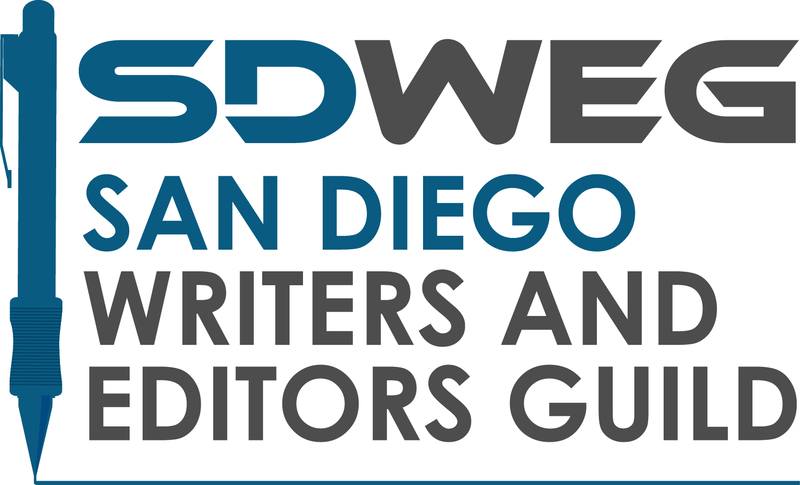 To any who choose to pick up her story, and I recommend doing so but not until after reading Don’t Let’s Go to the Dogs Tonight, be sure to turn to the back of the book to review the Glossary before diving into this story. 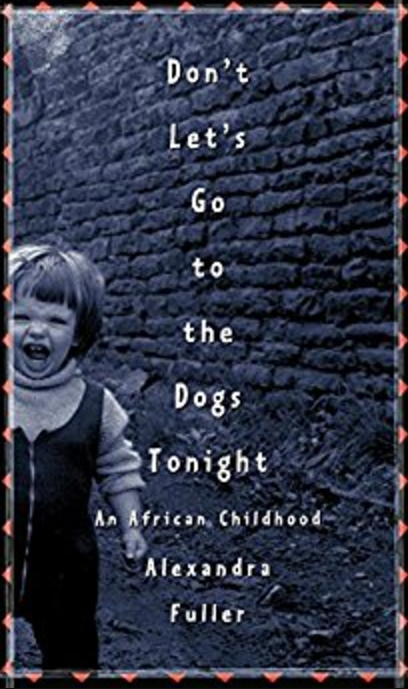 Alexandra Fuller’s first memoir covers her chil dhood in Africa, including stints at boarding schools far from her parents, ending with her marriage to an American who brought her out of Africa and into another land. Her parents were grounded in Africa, her mother by birth and her father by experience. Yet after the death of their second child, a boy, they chose England, perhaps to escape the threat of the Coming-Back Baby because they hadn’t buried their son far enough away from their Rhodesian home or perhaps to avoid the rising threat of violence in the increasingly independence-minded region. In the few years the family lived in England, Alexandra was born. But success in England eluded them. In view of insurmountable debts, Fuller’s father returned to Rhodesia, and her mother brought the two girls, Vanessa the first born and Alexandra, back by ship to Cape Town and then by train to Rhodesia. 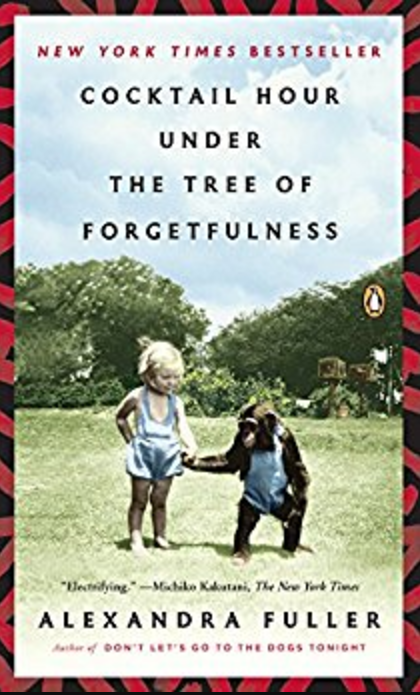 Fuller tells the naked story of her family’s successes and failures in England, several spots in Rhodesia (now Zimbabwe) including on the border with Mozambique, Malawi, and Northern Rhodesia (now Zambia), without judgment, as an objective participant, if that isn’t an oxymoron. There is no apology in the book. There is just the story, told with candor and compassion, with humor and hope. Fuller uses the language of her mother, not hiding her mother’s colonialist views of the Africans. But she also tells of the loss of two more children which bring her mother at least to the brink of a nervous breakdown. Since her parents’ life choices differ so widely from what most people would consider average, it is difficult to be certain how far from the Fuller-normal either parent ever drifted. In the end, her mother survived. Fuller describes the Africa of her childhood down through the layers of dirt and muck under her feet with love. Learning how to recognize possible improvised explosive devices and how to handle a gun are normal elementary school requirements. When the girls go to sleep, they worry about terrorists hiding under their beds. Yet there is no judgment as she writes. This is Africa, she writes. And it is home. We should all have such warm feelings of home.